Do you have an opportunity you'd like for BAE to fund? It's easy! Just fill out an application and return to the administration building! BAE is here to support the academic success of both students and teachers. Allow BAE to grant opportunities for academic excellence in Rensselaer! Congratulations to Roman Villegas from BAE on being selected to receive a scholarship to attend Purdue's GERI program this summer! 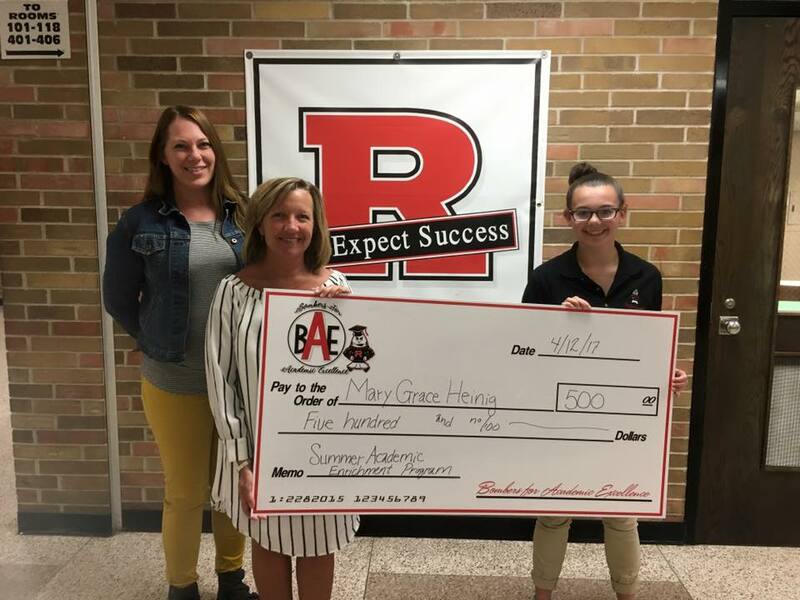 Congratulations Mary Grace Heinig on your BAE scholarship for attendance to the medical conference this summer!